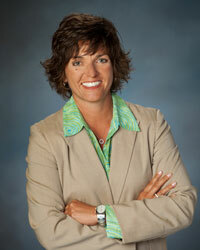 Dana Eikenberg is CEO of Reinvent1 and has over 20 years of Division 1 coaching experience. She will invest her energy and athletics aptitude into assuring your success. As the Missouri Valley Conference Coach of the Year in 2007, she has demonstrated that she Is a value-driven leader, with a breadth of expertise who will assist your organization in developing effective athletic leaders. Reinvent1 is an innovative and practical professional services firm providing accelerated, customized support to leaders in the athletic profession, including coaches, administrative leaders, and staff. Spark increased off-field/back-office team effectiveness based on with well-communicated expectations. Co-designing, with our clients, results-focused action plans that build cohesive, productive, and ethically efficient departments that also create more revenue, improved relationship inside and outside the organization, and more successful long-term career results. Providing on-site, targeted counsel and hands-on execution for special projects, including staff role redesign, creating alumni engagement opportunities, and facilitating staff transitions.